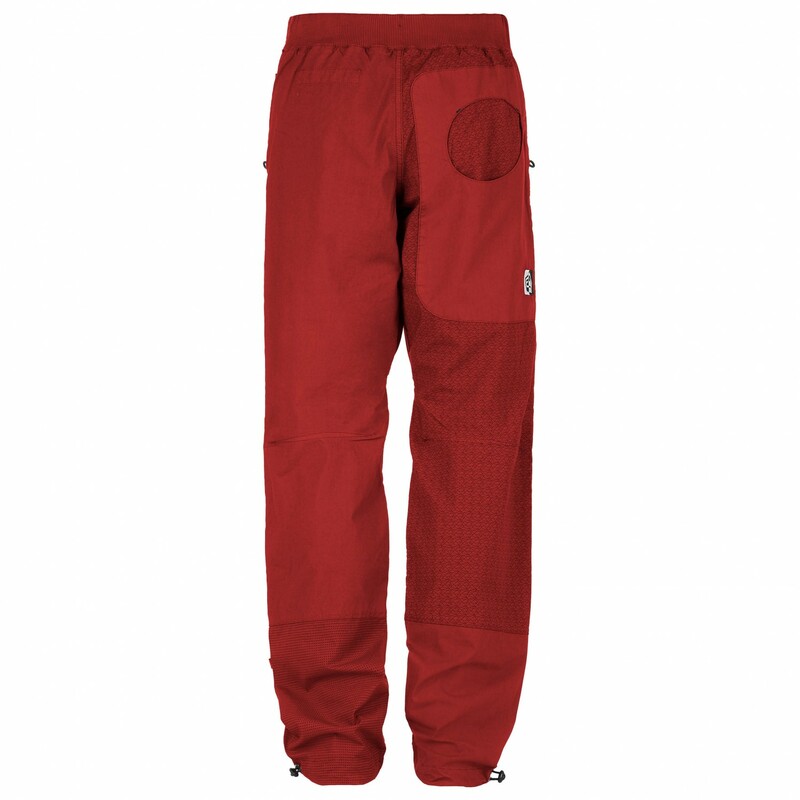 You'll be perfectly equipped for bouldering with the E9 Blat 1 bouldering trousers. 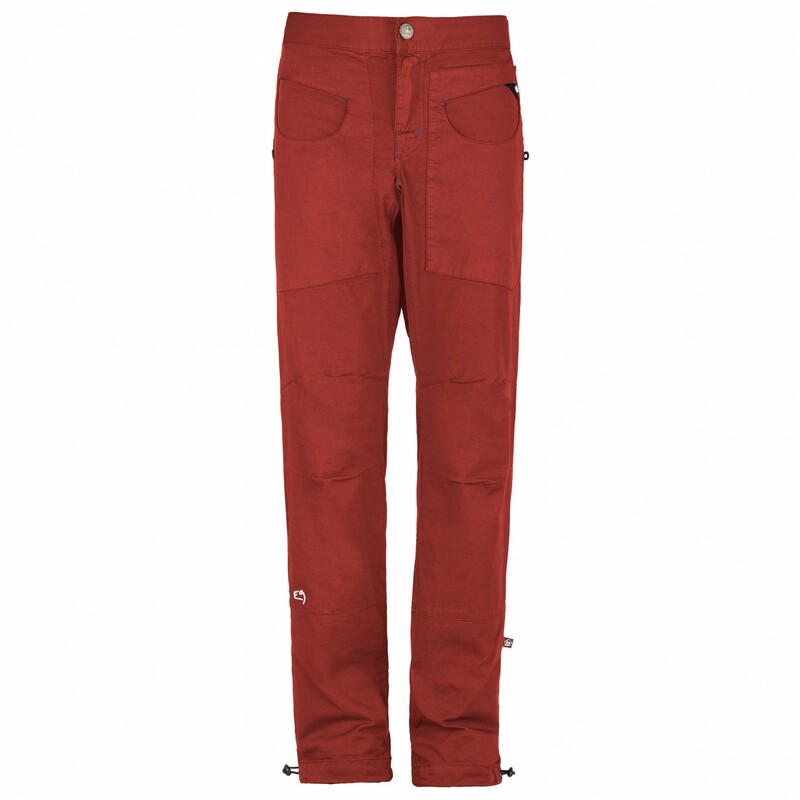 The bouldering trousers are made of a quite comfortable cotton material with a bit of elastane for the perfect fit. Plus, this elastic material along with the articulated knees will allow for optimal freedom of movement on the wall. For an optimised fit, you can adjust the ends of the trousers. In addition, the trousers feature side pockets as well as a back pocket for any important items you may have. Of course, the bouldering trousers look good too! 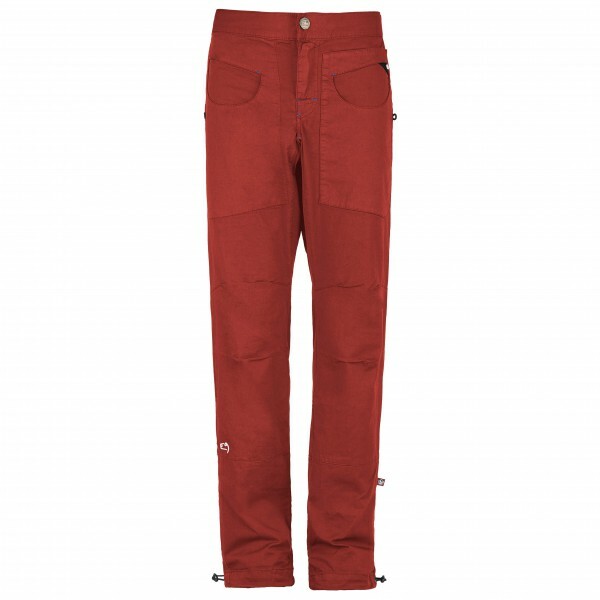 Let the bouldering begin with the E9 Blat 1 bouldering trousers!